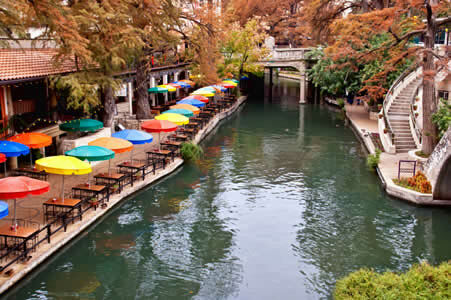 Known for its beautiful RiverWalk, tasty food, and incredibly hospitable natives, San Antonio is one of greatest Texas cities, not just because of the slew of natural wonders, but because it’s one of the cities in the country that manages to keep their streets as comfortable as they do their guests. 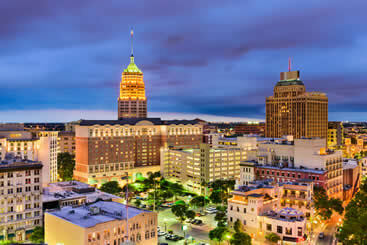 Texas is one of the largest states in the US with San Antonio one of the biggest cities in it. Known for its colonial heritage, historical landmarks, and magnificent river walk this city is surely a tourist’s haven. Apart from this, it is also littered with multiple water parks, theme gardens, adventure sports like caving exploration, and wildlife facilities where you can come and spend time with wild animals. San Antonio International Airport is the main source of commute to this city if you’re coming from outside. Since most of the people arriving here are tourists, the free Wi-Fi service makes it a lot easy for them to get connected to their people, thus saving them from spending on roaming facilities. Apart from this, you get to enjoy cheap parking facilities here as well. So, if you’re considering visiting San Antonio or other cities in Texas anytime soon then SAT International Airport is the one you should be landing at. The San Antonio international airport welcomes flight from around the globe. Looking at the size of the San Antonio City and its surroundings, the airport is pretty small. 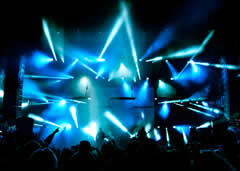 Though it is small but the swiftness of services and quality of facilities make it one of the finest in the vicinity. The people of the area have a tough time choosing between this airport and the ones present in Austin. This is because of the easy navigation, free Wi-Fi, elevated levels of security offered by this airport. As soon as you land at the San Antonio International Airport, you’ll want to explore the downtown streets of one of Texas’ finest cities. Get to your hotel by beating the crowd, reserving a shared ride van so that you can arrive in a comfortable and timely fashion. Contact our reps today for exclusive deals, saving even more money than you initially planned. You can walk along the peaceful San Antonio River Walk for a huge collection of fiesta-themed shops and tasty Mexican restaurants by getting there as a happy group. Reserve a private van so everybody can enjoy the beautifully designed river for big and roomy rides. After you’ve had your fill of shopping and good eats, visit the world-famous amusement park, Six Flags Fiesta Texas, an always-bumping hotspot located in a massive canyon. Couples often come to San Antonio for a romantic experience, wining and dining, visiting a variety of different attractions. For an intimate evening above one of the country’s most romantic skylines, eat at the Tower of Americas; a revolving restaurant located 750 feet in the sky. Get a ride with area providers and head out to other intimate locations, exploring adventurous natural locations like the famous Natural Bridge Caverns, which are host to the largest underground network of caves. Take your family on an educational journey through San Antonio’s vast museum district, checking out quaint exhibits like the ones at Witte Museum, which is famous for having free days on Thursday. Have your trip set by reserving a private SUV, checking out other serene spots like the San Antonio Botanical Garden, which is home to a slue of trails, a private pond, and a robust café. Because San Antonio is the fiesta capital of the world, there’s plenty of places to celebrate, whether you want to eat an upscale restaurant like Biga on the Banks or want to check out fun jazz music at Luna, a relaxed venue that’s perfect for riding up in one of our amazing stretched limousines. Get there in style by having your chauffeur take you wherever you want, wherever you want, giving you the luxury of not only being your own transportation, but the best transportation. For large groups going on a trip to San Antonio, book a chartered bus so that you can get to the San Antonio Zoo and Aquarium without any hassle. When you’re done going on a train ride across over 50 acres of exotic land, have your bus driver take you to the open-air San Antonio Japanese Tea Garden, a beautiful free-of-charge recreational area filled with exotic plants, gorgeous coy ponds, and a variety of public events. Whether you’re a romantic couple looking for a relaxing stroll or simply a movie-addict on the hunt for the famous RiverWalk scene where Jennifer Lopez from Selena sits on the edge of the RiverWalk, there’s no denying the location’s iconic touch. This makes it a perfect place to eat a renowned restaurant, go on a river ride, and learn a little about San Antonio’s history. From modern shows like Wicked to classic plays that perform year round, like The Nutcracker, San Antonio’s Majestic Theatre is exactly how it sounds. Known as the oldest and largest atmospheric venue in the city, the Majestic is a magnificent piece of architecture and an even better place to see your favorite show. 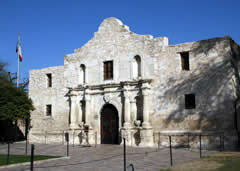 As one of the most historic landmarks in Texas, the Alamo Mission is visited by thousands of people a day due to its importance in the Mexican-American War. The area is a solemn ground where guests are required to not only remove their hats for respect, but give a moment of silence for the fallen before entering the mission for a tour. Although the Battle of the Alamo happened in the mid 19th century, the liveliness and the veracity of its hosts assure that the landmark will be remembered. San Antonio International is the biggest airport in the city, though it’s located 8 miles north of downtown. The far distance from the city shouldn’t be a big problem, however, thanks to the convenience of not one, but two terminals as well as a fluid passenger and cargo setup. The airport also offers a variety of ground transportation. Let’s not forget that ground transportation is just as important as arriving or leaving on a plan. If you’re in need to park or abandon your car, there’s a safe five-level parking garage across from Terminal A, not to mention other amenities that can help you out. Public transportation is provided by VIA Metropolitan Transit Authority’s Route 5 bus, but if you’re more interested in privacy, private shuttles by Go are fast and significantly cheaper than taking a taxi. For a low-key, but high-class choice, visit Drury Plaza for free Wi-Fi and a prime location along the downtown River Walk. If you’re more in the mood for theme parks and fun, check out Staybridge Suites NW, which is located just around the corner of Six Flags Fiesta Texas, not to the free breakfast. For a taste of New American fare and a nice view of the river, get a tasty plate at Biga on the Banks, a high-class restaurant with just the right amount of flavor that’ll be sure to have you coming back for more. If steak is more your forte, visit Longhorn Steakhouse, which can be found in northwest San Antonio along the 1604 W Loop. With an American West vibe and unforgettable sides, the restaurant is a chain, but tastes as fresh as anywhere else. If you feel like you’ve seen the RiverWalk enough (like most tourists usually do), explore the lesser-known parts of San Antonio by taking a tour through the Natural Bridge Caverns, a complex and gorgeous network of underground tunnels. You can also get a healthy exercise above ground by taking a hike along on one of the many trails the city’s scattered around its property, including Mission Trail.